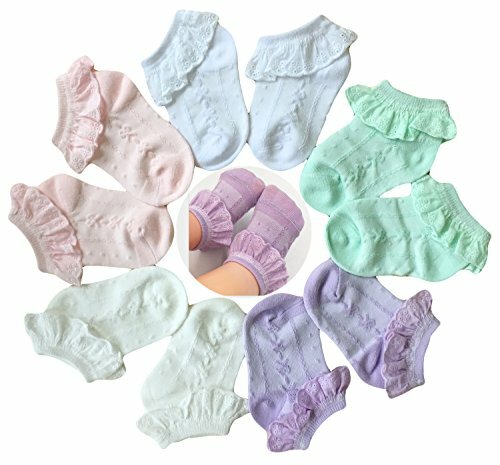 These layer lace trim socks will look super cute on your little girls. Made of a fabric blend for cozy softness and great fit.The socks will look great with a pair of Mary Jane's and a dress, and will add a touch of playfulness to your little girl's outfit. They are perfect for wearing to parties, events, holidays, church, for family portraits, dancing and more. About Size S(3-12M),Sole Length 3.54 IN,Suitable for baby 3-12 months M(12-24M),Sole Length 4.33 IN,Suitable for baby 12-24 months L(2-4Y),Sole Length 5.12 IN,Suitable for baby 2-4 years XL(5-8Y),Sole Length 5.91 IN,Suitable for kids 5-8 years XXL(8-11Y),Sole Length 6.70 IN,Suitable for kids 8-11 years Specification: Material:80% Cotton,17% Polyester,3% Spandex For season:Spring,summer,autumn, ATTENTION Boot Leagth maybe different between two pairs of the same size socks because of the elasticity of Spandex or the density of textile.The length of the difference is within 0.4 IN normally. Customer service: Welcome to Epeius,100% replacement or refund if you are not satisfied with the items.Pls contact us first.Thank you. 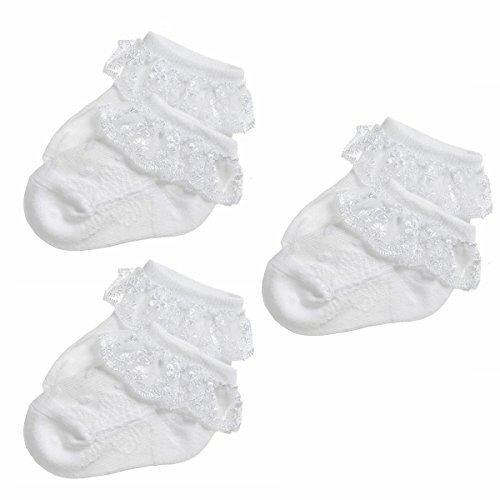 Epeius 3 pack Non Slip Ruffle Ankle Socks help keep those little feet covered and warm all day and night.Designed to stay on babies feet with soft elastic and roll back cuffs. Made of a fabric blend for cozy softness and great fit. About Size S(0-12M),Sole Length 3.9 IN,Suitable for baby feet 4.7-5.5 IN M(1-3Y),Sole Length 4.7 IN,Suitable for baby feet 5.5-6.3 IN L(4-6Y),Sole Length 5.5 IN,Suitable for baby feet 6.7-7.5 IN Specfication: Material:75% Cotton,22% Polyester,3% Spandex For season:Spring,summer,autumn and winter Package Includes:3 pairs anti-slip ankle socks (Size"L" has NO non-skid grippers) ATTENTION Boot Leagth between two pairs of the same size socks will be not same maybe,Because of the elasticity of Spandex or the density of textile and so on.The length of the difference is normal within 0.4 Inch. Customer service: Welcome to Epeius,100% easy replacement or refund if you are not satisfied with the items.Pls contact us first.Thank you. 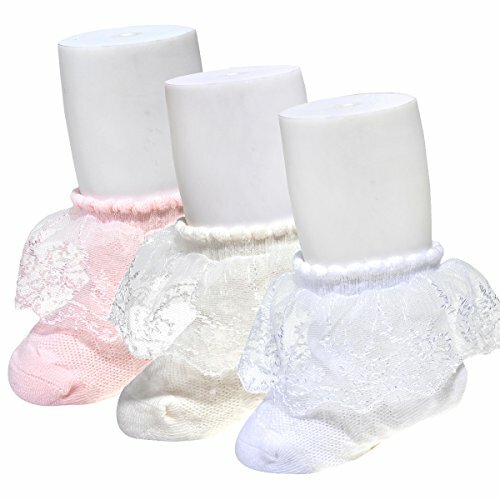 These layer lace trim socks will look super cute on your little girls. Made of a fabric blend for cozy softness and great fit.The socks will look great with a pair of Mary Jane's and a dress, and will add a touch of playfulness to your little girl's outfit. They are perfect for wearing to parties, events, holidays, church, for family portraits, dancing and more. About Size S(0-12M),Sole Length 3.54 IN,Suitable for baby 0-12 months M(1-2T),Sole Length 4.73 IN,Suitable for baby 12-24 months Specification: Material:80% Cotton,17% Polyester,3% Spandex For season:Spring,summer,autumn ATTENTION Boot Leagth maybe different between two pairs of the same size socks because of the elasticity of Spandex or the density of textile.The length of the difference is within 0.4 IN normally. Customer service: Welcome to Epeius,100% replacement or refund if you are not satisfied with the items.Pls contact us first.Thank you. 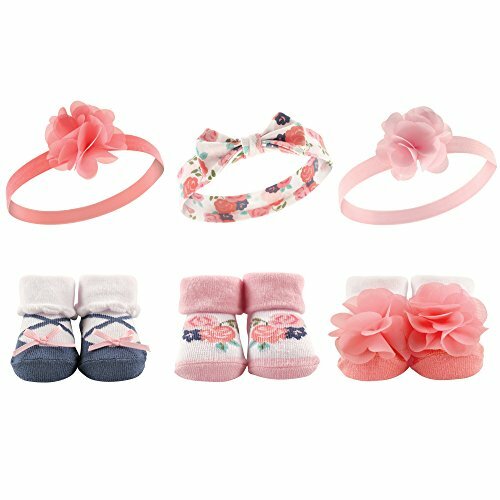 Hudson Baby socks and headband set is the perfect accessory set for your little one. This set comes with 3 headbands and 3 pairs of socks that are just adorable for dressing up or everyday wear. This set comes in a beautiful clear gift box with ribbon. Makes the perfect baby shower gift. 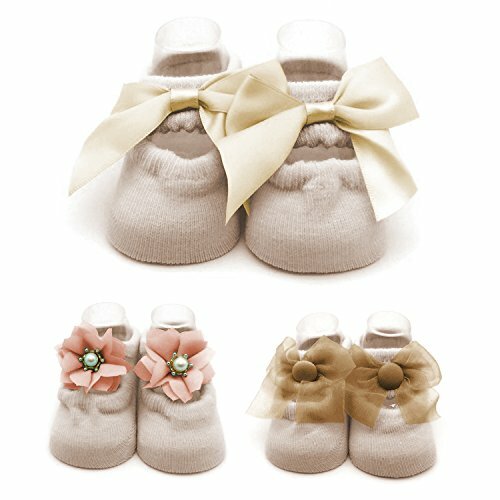 Looking for more Baby Socks Flowers similar ideas? Try to explore these searches: Emerson Switch, Cherry Blossom Wrapping Paper, and Balmain Watch. 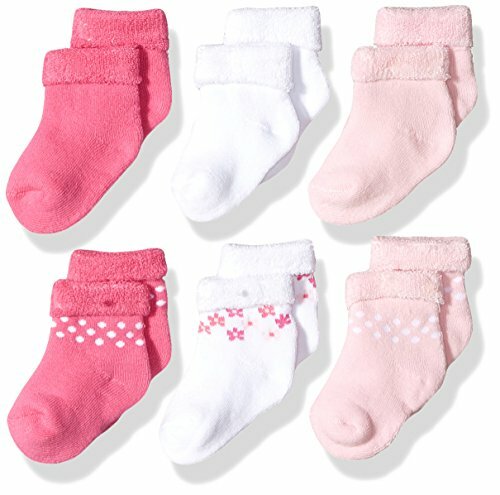 Look at latest related video about Baby Socks Flowers. Shopwizion.com is the smartest way for online shopping: compare prices of leading online shops for best deals around the web. 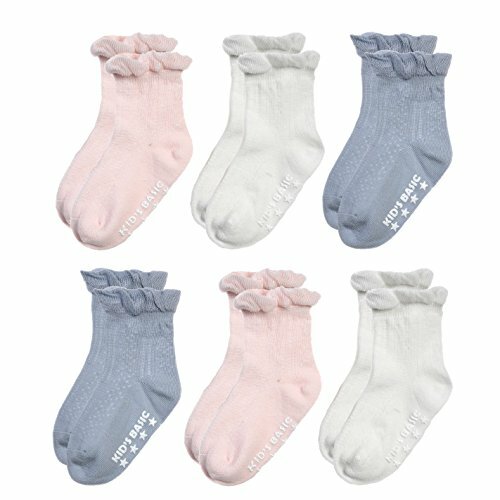 Don't miss TOP Baby Socks Flowers deals, updated daily.